The scale of structure element is especially important to obtain good filtering results in multiscale morphological filtering (MMF) method. In general, the optimal scale of structure element is set to be a fixed value in traditional morphological filter, therefore it is difficult to extract the fault feature from rolling bearing vibration signal effectively. A novel multiscale morphological filtering algorithm is proposed based on information-entropy threshold (IET-MMF) for early fault detection of rolling bearing. Compared with traditional MMF method, several optimal scales of structure elements are achieved according to the energy distribution characteristic of different vibration signals. The information entropy theory is applied to quantify the analyzed signals, and the optimal threshold of information entropy is obtained by iterative algorithm to ensure integrity of useful information. 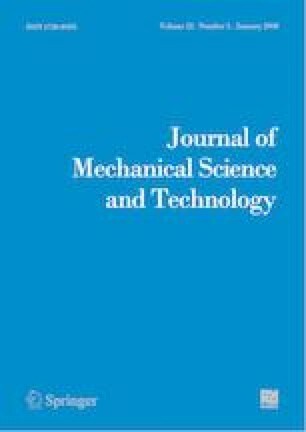 The simulation and rolling bearing experimental analysis results show that the IET-MMF method can extract fault features of vibration signals effectively. Lingli Cui received the B.S. degree in mechanical engineering from Shenyang Aerospace University, Shenyang, China, in 1998, the M.S. degree in mechanical engineering and automation from Harbin Institute of Technology, Harbin, China, in 2001, and the Ph.D. degree in control theory and control engineering from Institute of Automation, Chinese Academy of Sciences, Beijing, China, in 2004. She is currently a Professor of mechanical engineering, Beijing University of Technology, Beijing, China. Her research interests include fault mechanism, pattern recognition, intelligent diagnosis, and fault diagnosis. Jialong Wang received the B.S. degree in mechanical engineering from Tangshan College, Tangshan, China, in 2016. He is currently pursuing the M.S. degree in mechanical engineering at Beijing University of Technology, Beijing, China. His research interests include rolling element bearing fault diagnosis. Jianfeng Ma received the Ph.D. degree in Beihang University, Beijing, China, in 2009. Now he works at Beijing University of Technology. His current research interests include mechanism dynamics, fault diagnosis, light weighting and structural bionics.